Iberian pork loin of Iberian pig reared in extensive in the meadows of the Iberian Peninsula and fed with acorn during the time of montanera. This product has a cure of 90 days. 1 kg - 1,2 kg aprox. The best selection of purebred Iberian pigs to obtain a unique and exclusive piece for the most select palates. Aroma to plants, flowers and wild aromatic fruits. 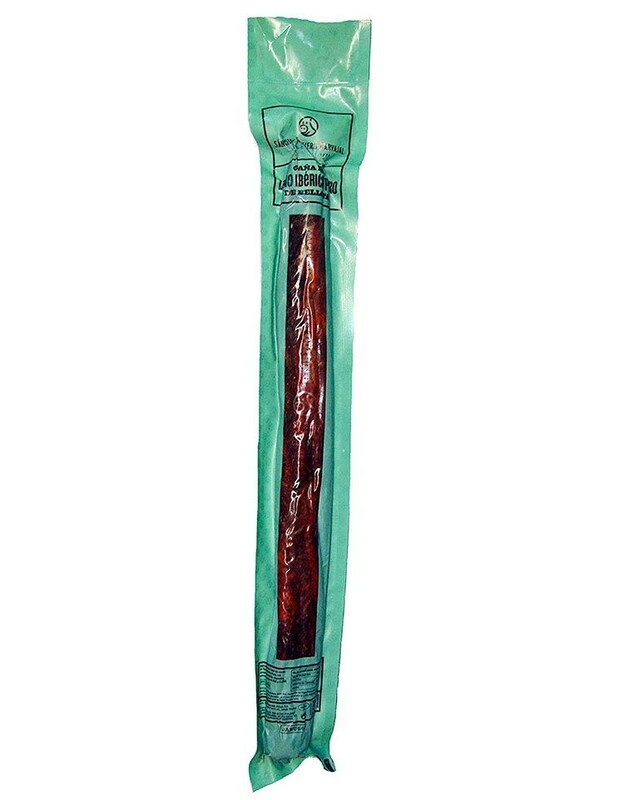 The Sánchez Romero Carvajal brand has become synonymous with quality for Iberian Products, achieved thanks to the combination of essential requirements: authentic since 1879, 100% pure Iberian breed, free-range breeding, acorn-based food and handcrafted cured by the master ham maker. Produit très gouteux, à peine trop salé pour ma part.